Already rated 93/100 by wine critic James Halliday our 2010 Silent Showman Shiraz has just been awarded 5 stars by Winestate Magazine and “Top in Class” at the annual Central & Western Victoria tasting. As our volumes are extremely limited this wine is only available through our online store and Cellar Door. Similar in style to the 2008 which sold out There are a total of 7 levels in the online casino Tropez VIP club including Premier Club (highest level), Diamond, Platinum, Gold, Silver, Bronze and Club. in record time this wine is dense purple with fragrant mocha, blackberry and licorice aromas and dark berry fruits, chocolate and spice through the palate. A parcel of this wine was barrel fermented in new American and French oak barriques to creating incredible complexity with plump ripe tannins providing a soft rounded structure. Early bottling has captured these characters, and bottling under screw cap means this wine will retain its freshness for many years to come. LATEST MEDIA REVIEWS: We’ve just been awarded 93/100 for the Tallis Silent Showman Shiraz 2010 by James Halliday in the 2012/13 Australian Wine Companion publication. Not a bad result for a little winery in the Dookie Hills! In the Winestate Magazine Central & Western Victoria tasting recently our 2010 Viognier was awarded 3 stars. Apricot and pineapple aromas meet honeysuckle and green pear on the palate of this wine. A hint of barrel-fermented nuttiness adds complexity and palate weight kept in check by crisp acidity. Fabulous on its own or wonderful with seafood and summer salads. Call us now on 03 5823 5383 to have this stunning wine on your festive table this Christmas. James Halliday is one of the world’s leading authorities on Australian wine, matching intelligent honest reviews with an unparalleled knowledge of, and passion for, the wine industry. After many years of putting our heart and soul into our wines, James Halliday has awarded Tallis Wine with a 4 ½ star winery rating in his Australian Wine Companion 2010/2011. Our reaction was one of disbelief that we had finally achieved this milestone, so much so that we had to ring the publisher to ask her to double-check that it really was Tallis Wine that received the accolade. Twice. In fact we spelt the name to her during each call. Twice. Then the screaming began … and we’re still celebrating. Seeing people enjoy our wines is the greatest satisfaction for a wine producer however receiving feedback from one of the grandfathers of the Australian wine industry is an enormous pat on the back. 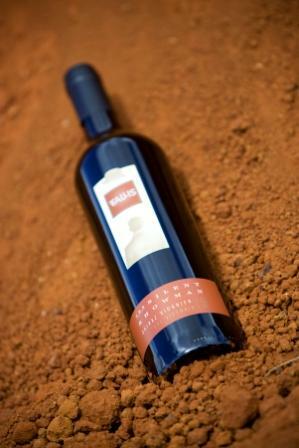 The Tallis Dookie Hills Viognier 2008 has just been awarded a silver medal at the Boutique Wine Awards. It was also awarded three stars by Winestate Magazine in the 2010 New Releases tasting and listed in the Top 40 Best Buys Under $20. Winestate Magazine awarded three stars to our Dookie Hills Viognier 2008 in its recent new releases tasting. This wine won a silver medal at the Victorian Wine Show a couple of months ago so seem to be doing quite nicely. Not bad for an $18 online casinos bottle of wine, or even less if you are a Tallisman member.